A lovely group of 3 singers offering Christmas carols and songs of the season. Ideal for a wide variety of function styles including cocktail parties, staff parties, shopping malls, festivals, outdoor events, corporate or private functions and events. Beautifully groomed and highly professional, this group of vocalists present a lovely selection of traditional and modern Christmas songs. With some notice they can also cater for special requests which can add the personal touch to your corporate or private event. Three fabulous Jazz Singers join forces for the Festive Season. Leading artists Julie Mason, Trudy Lile and Maria O'Flaherty combine their vocal talents to bring a glorious blend of harmony to all of the Christmas song favourites. They will even throw in "Santa Claus Is Coming To Town" and "Rudolph The Red Nose Reindeer" for good measure! 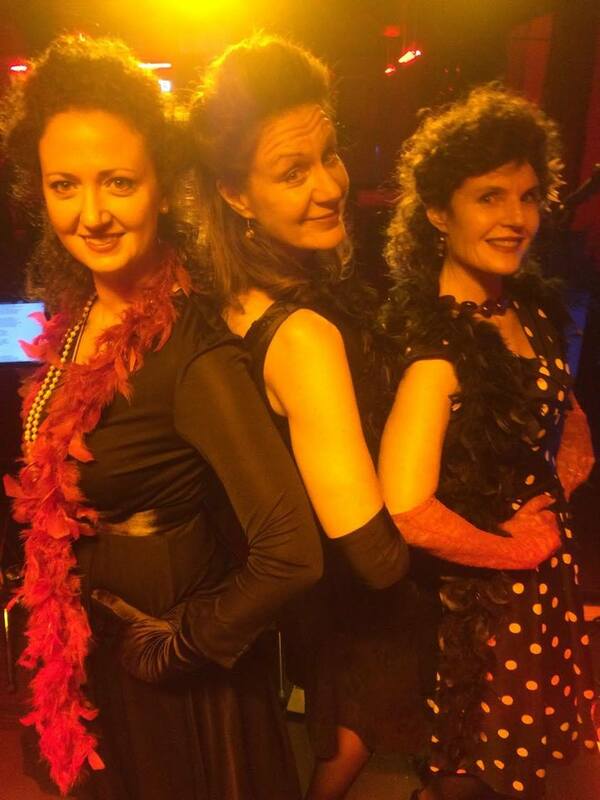 All three vocalists have both classical and jazz training - having sung in everything from The Dorian Singers and The University Chorale to "The Four Sisters" and "The First Ladies of Jazz", so can switch from the glorious harmonies of "Joy To The World" and "Ding Dong Merrily On High" to "Santa Baby" in an instant. Their experience as jazz performers allows them to "jazz up" beautiful songs such as Mel Torme's "The Christmas Song" and make merry for the festive season. This cheerful Christmas ensemble, will enliven and add to the atmosphere of any Christmas function with their wit and merriment! This is a highly sought after and busy group so it pays to secure your Christmas dates quickly.